The CNA working for you should have considerable knowledge about patients and diagnoses. They should be aware of the new procedures and also be able to perform them. CNAs need to have excellent communications skills. That way, it would be easy for them to work with other medical professionals who are a part of their team. They would find it easy to talk to patients and their family members as well. The elderly and disabled are people you always have to be patient with. They’ll have a bit of a harder time hearing what you’re saying or knowing what you mean. Patience is an important trait any CNA should hold as it helps them contribute better to their patient’s healing journey. In the healthcare industry, one can’t help but be put in situations that will test their emotional resolve time and time again. CNAs need to be emotionally stable as they have to be around struggling patients and their family members on a regular basis. CNAs, like any professional in the healthcare industry, have to be concerned about the people who they take care of. Patients have fears about their health, and you must be sympathetic to that. As a person who works in the healthcare business, you will encounter patients who are going through very difficult times in their lives. You need to be understanding about their situation and have the ability to communicate that understanding back to them. CNAs should be more than willing to collaborate with other healthcare specialists so as to provide the best possible care to their patients. They need to encourage their patients to take matters of their health into their own hands. A certified nursing assistant should be very precise. If there are any changes that occur with regards to their patient’s health, they need to report such to their team leaders and the patient’s family. CNAs need to have the presence of mind during emergency situations and not be overcome by their emotions. The patient’s life may be determined by the professional’s ability to properly perform First-Aid or CPR in these dire moments. It doesn’t matter what kind of industry you’re working in, you need to have respect for your coworkers and the people you’re serving. The same applies to the healthcare field, where CNAs will have to be respectful to their patients and the other health specialists they work with. If you happen to be looking for a highly-qualified certified nursing assistant in Texas, don’t think twice about getting in touch with Network Medical Staffing. 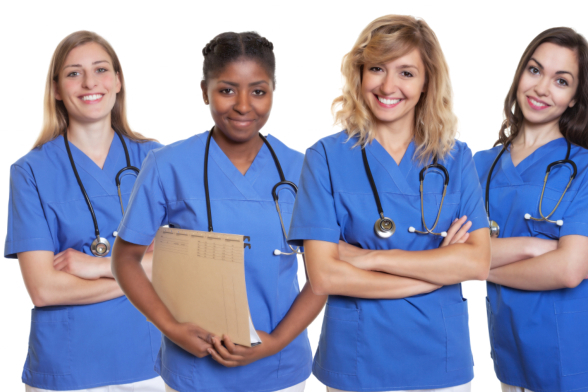 We can match you with CNA candidates that possess all the aforementioned qualities and more. This entry was posted in Medical Staffing and tagged Be Compassion, Be Patience, Nursing Assistant. Bookmark the permalink.